For the rest of this article, I'll walk you through a few examples of what you can do with Cloud9, one of the many dPaaS services available to developers. Cloud9 offers 5 plans, one of which is free. Each plan uses Docker containers running on Ubuntu Linux, offering full terminal access, multiple collaborator access, and infinite open-source projects. It's really handy that multiple developers can work on the same source code. Each collaborator has an active cursor, and they can write code at the same time. In the screenshot above, you can see two users, me and jamesbond006, accessing the same controller code at the same time. Notice the lines marked with different colors in the left side of the line numbers. Each color identifies a user. The @message on line 8 is underlined with the color corresponding to jamesbond006—meaning he's the one who wrote the code. This feature is very helpful and beats TeamViewer anytime! You can use it to help a friend, get help from a friend, and even test or teach some student/job candidate remotely. If you're a front-end web developer or designer, you'll sometimes have to switch browsers to check if what you wrote is what you expect to see. You'll likely have Chrome, Firefox, Opera, and possibly IE and/or Edge installed. Cloud9 saves you from installing a whole stack of web browsers. 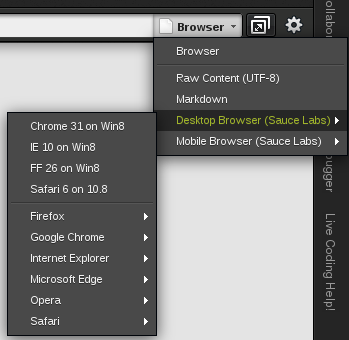 You can remotely test your layout on the major browsers—both desktop and mobile. You can also test your app on iPad, iPhone, Android and Kindle. 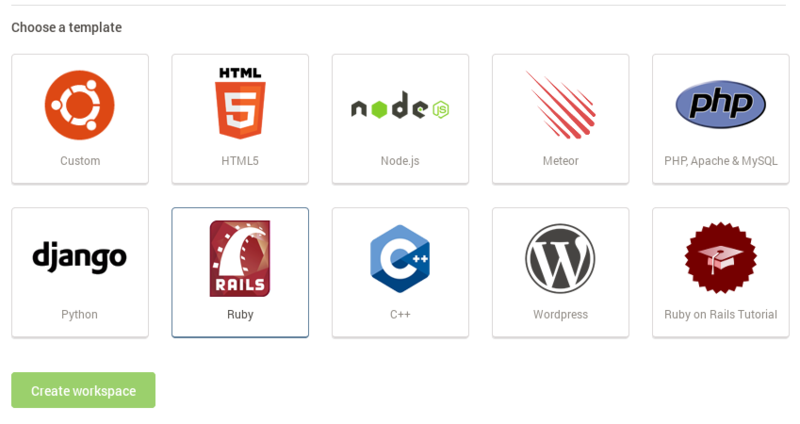 Like other services, Cloud9 supports a wide range of programming languages and frameworks, including Ruby on Rails, various PHP frameworks, Node.js and also databases such as MySQL, PostgreSQL, Cassandra, MongoDB and others. Even if you want to develop in a language not listed above, such as Scala, you can choose the Custom template and install your chosen language via the terminal. You can create a Rails app by choosing the Rails template, or by choosing the Custom template and executing rails new in the terminal. You can then access the application you're developing by navigating to <workspace>-<username>.c9.io. To install gems, just add them inside your Gemfile and run bundle install in the terminal—just like you'd do in a local environment. The rails generate and rake db remain the same, and migrations create tables in the default db/development.sqlite3 file. If you don't want to use SQLite, read the docs on how to set up a database. For more language setup examples, I've put together some demos on GitHub—including C and C++, PHP and MySQL, Gradle and more. Whether developing locally or in the cloud, you'll eventually want to deploy your code to a server. 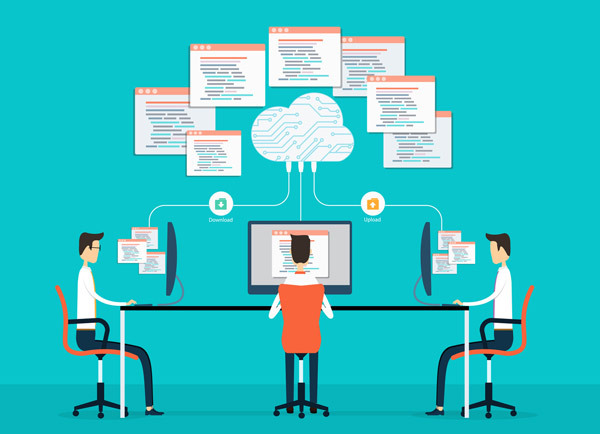 Some cloud development services include hosting as an option. But you can also deploy your code elsewhere. 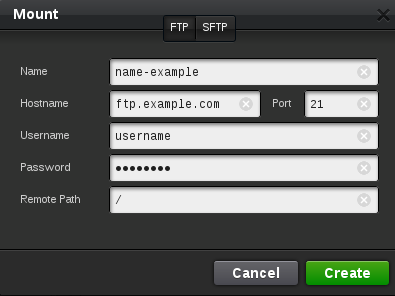 The alternative to FTP is called Push to Deploy. Most cloud services—including Google App Engine, Heroku and Azure—allow you to use Git (or a similar VCS) to push the source code into a cloud VM for deployment. Since Git is already included in every Cloud9 workspace, you can use it to deploy your application by pushing it to the production server. If you want to continue your work offline, that's no issue. Cloud9 allows you to download the source code as a .zip archive and then you can develop locally in your machine. It also supports FTP. You can push the project directly into the development or the production server. Cloud IDEs try to make the developer as mobile as possible. The whole environment is somewhere far removed from your machine, which enables you to use it even if you're using an old computer or sitting at someone else's machine. It comes with Git included, so you can use it to put the project under version control and/or work with a team of developers. Your computer is not powerful enough and your internet connection is stable (not getting regularly disconnected). You want to practice pair programming with another developer when one of you is working off-campus. You don't mind using a code editor that's less powerful than your local locally installed code editor. You quickly want to spin up an alternate environment without all the hassles of local installation. In this article, I've mainly covered the features of Cloud9's online IDE, but it's not the only one out there. There are lots of alternatives, including Nitrous, Codeanywhere and Codenvy. Which you choose, of course, will depend on your particular needs and preferences. Have you ever developed in the Cloud? If so, how did you find it? What's your preferred service, and why?